A Harvard study confirmed that Tibetan monks can actually raise their body temperatures with their minds. Known as g-tummo meditators, these individuals are able to dry wet sheets that are wrapped around their cold, naked bodies. It is worth noting that few possess this rare skill. Only a handful of monasteries in the Chinese provinces of Qinghai and Sichuan practice this type of meditation. Dr. Benson, the Director Emeritus of the Benson-Henry Institute and Mind Body Medicine Professor of Medicine, Harvard Medical School, carried out his research in the 1980s. He determined that finger and toe temperatures increased due to vasodilation, which involves widening of the blood vessels to reduce blood pressure. The monks also utilize what is known as “Forceful Breath” and “Gentle Breath” meditation to warm their bodies. The former increases body heat, while the latter maintains it. Follow-up studies support Benson’s conclusions. Have you seen the video of a monk flinging a needle through a sheet of glass and popping a balloon on the other side? Most of the glass stays intact except for a tiny hole. It doesn’t seem possible, yet the balloon clearly bursts. The key to this exercise is striking the glass directly with the needle’s point at a quick speed and as close to a 90-degree angle as possible. While it’s not easy to accomplish, with a lot of practice it can be done. The type and thickness of the glass is also important. Some varieties of glass are created so they’re difficult to break (don’t try this with a car windshield, for example). However, a 1/8-inch plate glass is not too difficult for the monks to force a hole into. The tiny needle’s momentum punctures just one section of the glass and not the whole piece. A Shaolin monk named Zhao Rui trained his body to withstand extremely sharp objects. The skin on his temple doesn’t crack when someone uses a power drill against it. He can also bend an iron bar against his throat and lie unharmed on top of metal spikes. 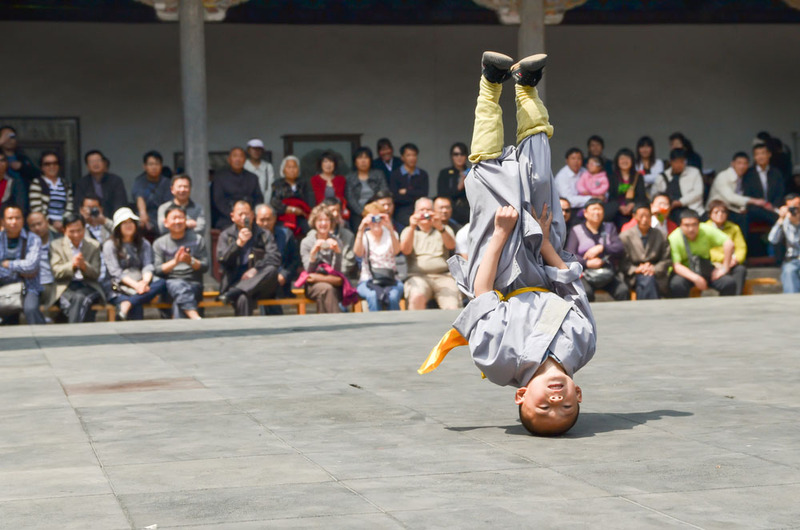 Shaolin monks may enter the monastery as young as the age of three. Their days are long and filled with extreme mental (chan) and physical (quan) training. They learn how to control an energy force known as “chi” through meditation. It takes discipline and awareness to embody this concept. 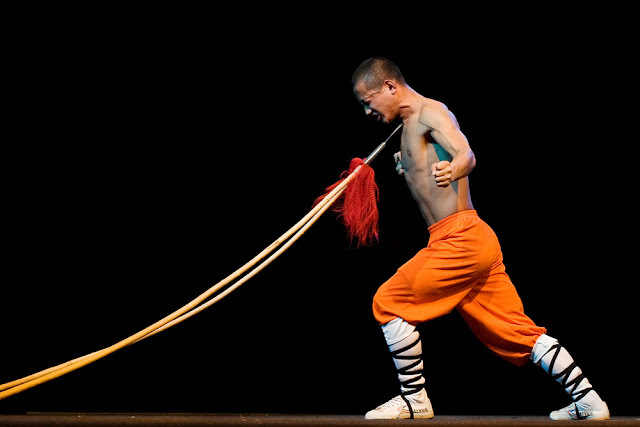 The monks use Qi Gong and a special method of breathing with the lower abdomen to transform their bodies into armor. This allows them to withstand powerful blows, including those from dangerous—and sometimes sharp—objects. By cultivating their inner calmness, they are able to ward off mental, physical, and emotional stress. They also use Qi Gong to ward off injury. Meditation helps with pain. Breathing and relaxation are known to combat discomfort. To take one’s mind away from the source of pain, an individual may focus his or her mind on other parts of the body. 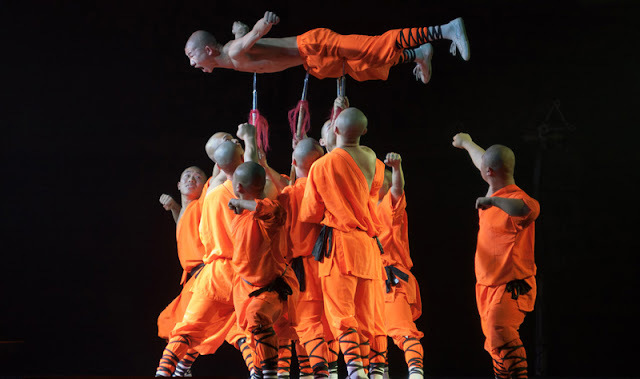 While Shaolin monks seem to achieve the impossible, they have simply developed their minds and bodies in ways that allow them to perform extraordinary feats of mental and physical strength by tapping into their internal energy and through physical conditioning.